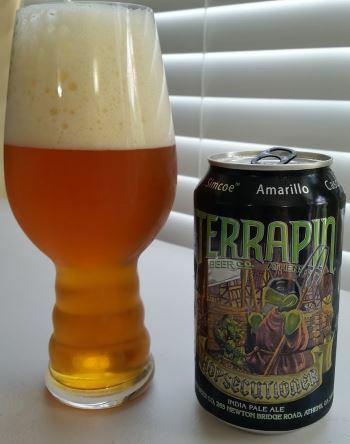 Hopsecutioner is an American IPA, and a rather big one, from Terrapin Beer Co out of Athens, Georgia. 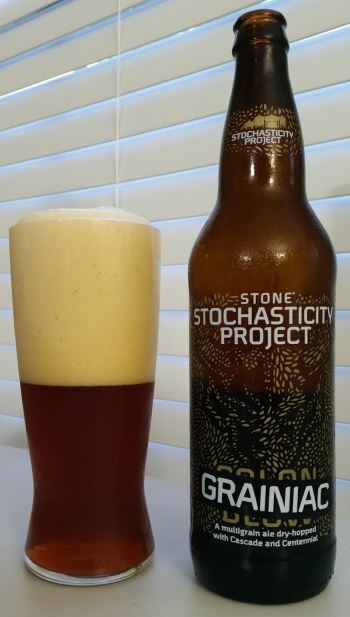 While it’s styled as an IPA, to my senses, its closer to what I’d identify as as Imperial IPA than a standard IPA. It is heavily hopped (with 6 varieties) but balanced, so lots of malty goodness as well which gives it that strong resemblance to an Imperial. The foam is light and full, but dissipates quickly. The nose has strong orange notes, a bit of caramel, and some licorice. The middle has some slight piney bitterness, balanced with sweet bread dough, orange and some lemon. The lemon comes on more strongly in the finish. The body is medium to heavy and the alcohol is moderate 7.3% ABV. An interesting beer with the alcohol of an IPA, but the complexion of a DIPA. I give it 3.7 out of 5. 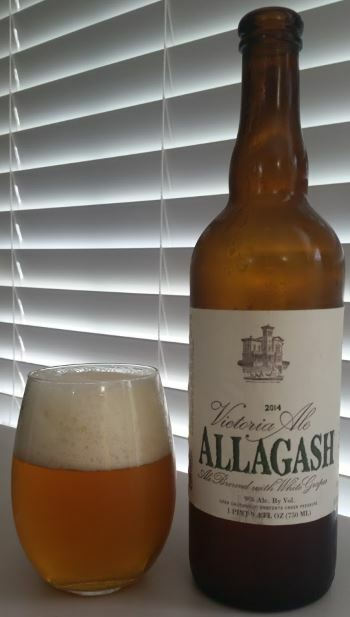 This entry was posted in Reviews and tagged Ale, American IPA, DIPA, Georgia, Imperial IPA, IPA, Terrapin on May 18, 2016 by Xander.